What auspicious vinous attributes should we be looking for in the year of Black Water Dragon? Firstly, black is the dominating colour so there is a correlation with the black skin grape pinot noir, ‘noir’ being black in French. Thus, a profound pinot noir is called for, one that also has the energy of wood and defined new oak maturation as the Dragon has a wood element and 2012 is the last year of the Wood cycle. The energy of Wood is also in the East side so an easterly aspect with the vineyards location is favourable. One of the Dragon’s three elements is Earth, so a pinot noir with a distinct black earthiness is also favourable. As this Dragon period is the transition year to the Fire Cycle, it is also desirable to have some synergies with the Fire sign, which is found in the Horse, or in this instance the Pegasus, which can fly like the dragon. The Pegasus constellation also has numerical relevance with its five bright stars in synergy with the Dragon being number 5 in the lunar year cycle. Having already singled out Pegasus Bay Prima Donna Pinot Noir 2009 as the “Red Wine of the Year”, with an intimate knowledge of the winery and their style of wines, there are many clearly identifiable facets of this wine that fulfil the criteria of the Black Water Dragon and is the ideal ‘auspicious’ wine to bring you good luck in your drinking this year. 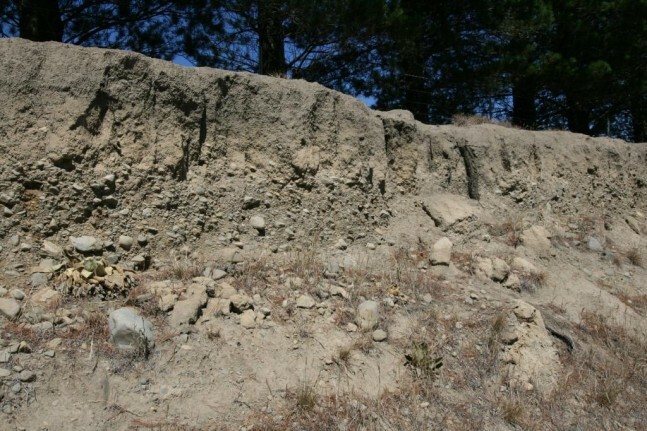 It is in my opinion, the most profoundly distinctive pinot noir in all New Zealand and I have always identified Pegasus Pinot Noir with its markedly black earthy nuances; an earthy quality that I associate to the smoky, charred nuances of peat, amongst a strong iron and gravel minerality. This characteristic is so evident in Pegasus Bay Pinot Noir I normally have no trouble identifying it in a masked line-up. The Pegasus Bay vineyard is situated on the east coast of the South Island of New Zealand with its easterly aspect uninterrupted across the vast South Pacific Ocean and pristine, cool winds from Antarctica moderated by a range of hills, such aspects favourable to the energy of Wood in the East side. The Prima Donna cuvee is a barrel selection, only made in the very best years where drawing off certain barrels will not detract from the balance of the main cuvee. There is a higher proportion of new oak and certain smokiness and energy derived from this, in harmony with the Wood Cycle and Earth element of the Dragon. Deeply rich and evocative perfume exudes from the glass, ultra-spicy, Indian spices with a smokiness amongst concentrated dark plum, dark cherry and pronounced violets – a nuance that I associate with the most coveted pinot noirs yet illusive – notes of tamarind paste and a potent infusion of black-earth, cold iron sand beach, iron rock, granite minerality, also hung meat and dried beef aromas with coffee grinds and a woody smokiness of fireside charcoals. Gorgeously rich and dark chocolate palate entry coating the mouth with intense black cherry and spice, tart black berry fruit kicks in almost sangiovese-like in energy with chewy fine tannins, indeed excellent tannin structure with a layered silky texture and seductively elegant yet there’s this dark brooding element and impressive power with an incredibly long palate and carry of flavour with a vivacious tanginess of acidity that balances the richness of fruit from what appears to be a ripe, well-balanced vintage. This definitive structure and tension sets Pegasus Bay apart from many New Zealand pinot noirs and I have always thought their wines more Burgundian in style with power and nuance of a Grand Cru Burgundy, like a Chambertin with its pronounced iron and clay minerality. 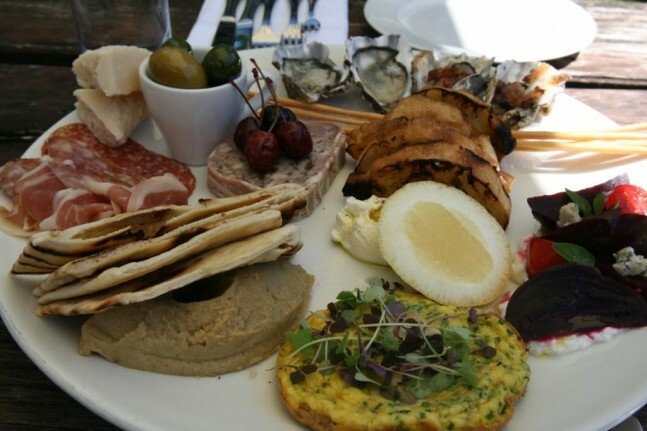 If you are visiting the vineyard regions of New Zealand, Pegasus Bay is a must-visit with one of the best cellar door restaurants in the country and a splendid alfresco setting. 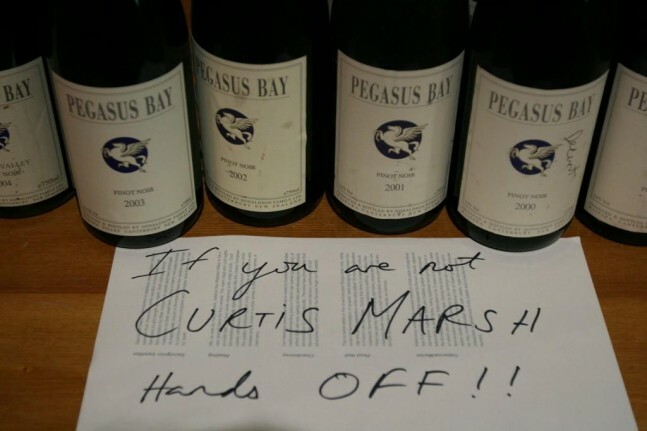 Visit www.thewanderingpalate.com for a full review of Pegasus Bay and comprehensive tasting notes from a vertical on their pinot noir.